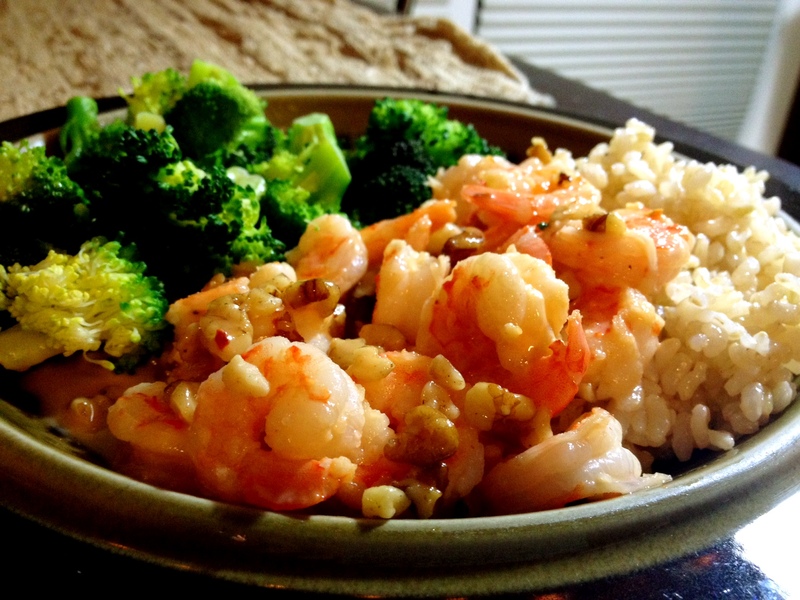 I have always had a love/hate relationship with Honey Walnut Shrimp. I go to a restaurant, order it, get so excited, get it, first bite tastes great…then it’s all downhill from there. I find it too heavy, greasy, and rich. They seem to fry the shrimp in something weird and I always end up feeling gross, telling myself it’s not worth the pain involved. Imagine the joy when I somehow came up with a lighter version. No frying, no heavy grossness. An added kick, while still being slightly sweet. Add some broccoli and brown rice, and you’re set for dinner super quick and easy. 1. Mix Mayo, chili flakes, soy sauce and sriracha in a bowl, set aside. 2. Preheat broiler with rack set about 5 in from heat. Coat pan w/ oil or cooking spray and lay shrimp evenly on a broiler pan. Broil until pink and firm, about 5 minutes. transfer to a bowl. 3. While shrimp is cooking, lightly toast the walnuts in a pan on low heat. 4. Drizzle Shrimp with honey and sprinkle with salt, tossing to coat. Add the mayo mixture and toasted walnuts to shrimp, sprinkle with chili flakes and add sriracha to taste. 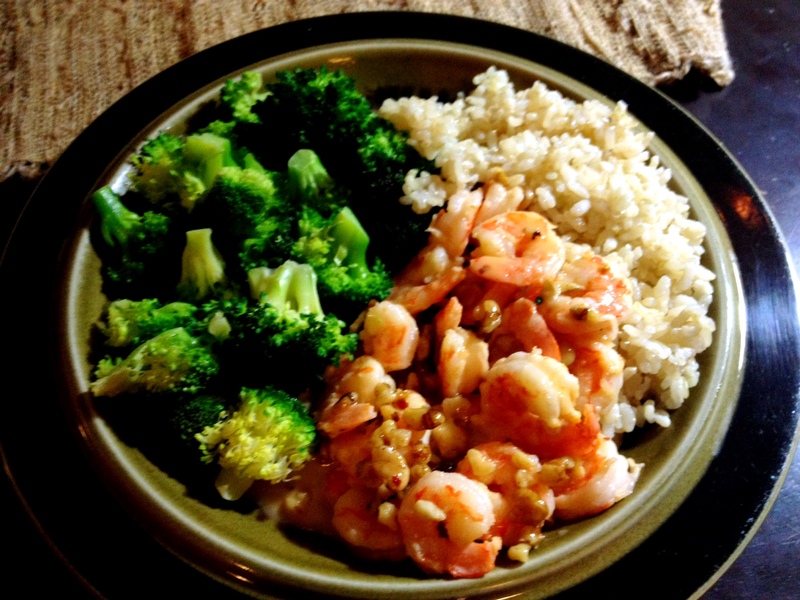 Serve with steamed broccoli and brown rice. about a tablespoon, but you can add more or less depending on your spice preference!